Sentosa announced today that Sentosa Spooktacular 2013 will be produced with leading Thai movie production studios GMM Tai Hub Co. Ltd (GTH). 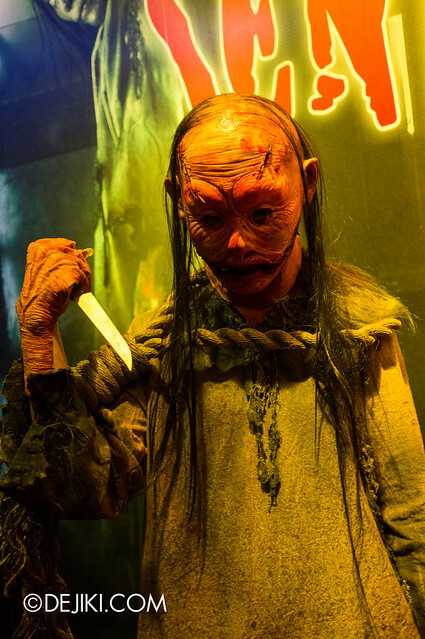 This year’s Sentosa Spooktacular halloween event will feature scare trails (haunted houses) based on Thai horror hits such as Coming Soon, Shutter, Body, Dorm and the latest Pee Mak. NEW! 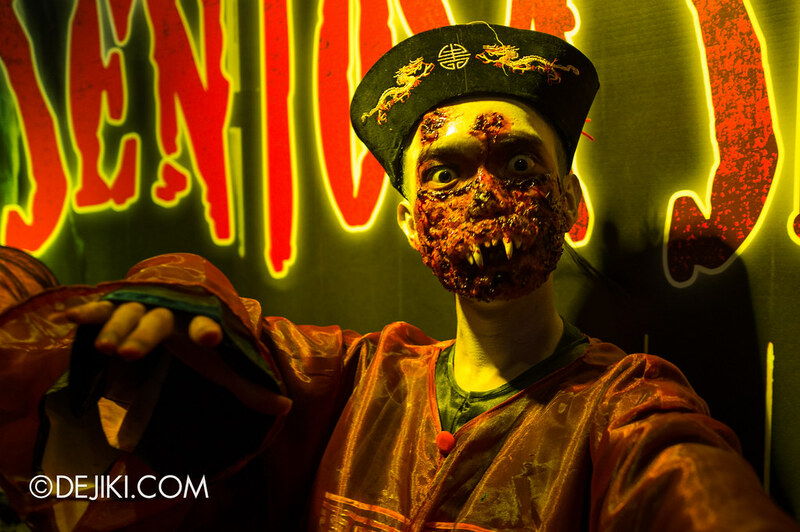 Read the FULL Sentosa Spooktacular 2013 review now! The partnership with GTH was revealed today at a press conference within the dark and cosy casemates of Fort Siloso. Attendees had to first go through a small scare trail. It was just a tiny taster and not representative of the real scare trails which will spook Fort Siloso this October. Even then, the short walkthrough was like a harrowing limbo. Tight, unlit corridors filled with heavy fog. Only the first person in my small group of four had a tiny flashlight. Even with that, we could not see where we were going – blindly facing the darkness and inevitably, walking into walls. A few scare actors (or it could be even just one) cloaked in the dark. A fright-filled way to start the morning. Need something to jog your memory? 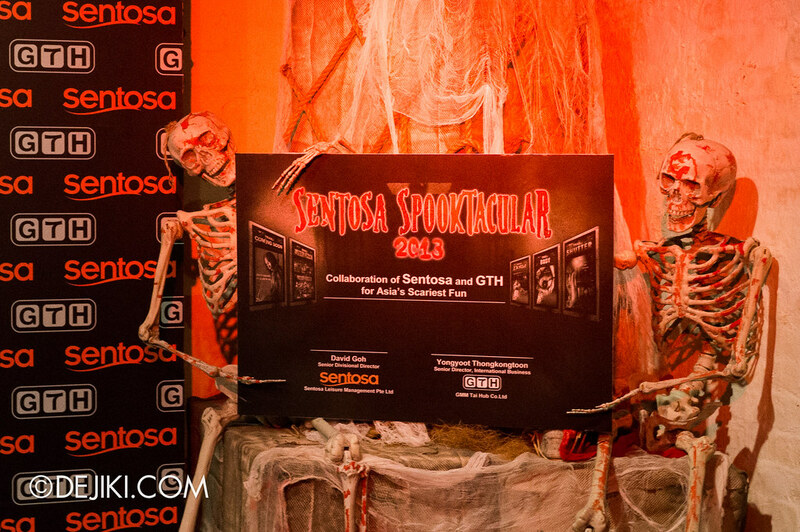 Watch the Sentosa Spooktacular 2013 trailer here, courtesy of GTH. That’s right. Vengeful spirits from the Thai horror films will haunt Fort Siloso this Halloween. Remember Chaba from Coming Soon? Netre from Shutter? The scary scenes of curses and demonic possession? It’s all coming here. During the Q&A session, David Goh (Senior Divisional Director of Sentosa Leisure Management) and Yongyoot Thongkongtoon (Senior Director of International Business for GTH) shared both technical and creative details of this year’s event. Yongyoot Thongkongtoon said that scare trails will not substitute the experience of watching each film. Instead of trying to build the films’ narratives into the scare trails, key elements from the films in the form of characters, set design and sound will create heavily immersive experiences. The creative team will also take advantage of cinematic effects and techniques from the films. 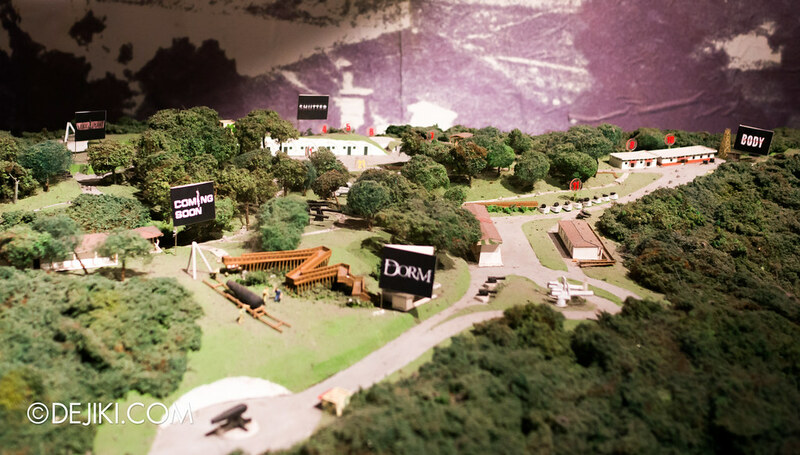 All together, it will allow guests to feel as if they were characters in the films. David Goh said that the event will still stay close to its roots, touting “Asia’s scariest fun”. Expect to be torn at both extremes, screaming and laughing at the end of the night. Goh also assured that the event will not be oversold to offer all visitors ample opportunity to experience all 5 trails. The number of visitors in each scare trail will be closely monitored to prevent overcrowding. A 20-strong team from Thailand will be coming to Singapore to co-produce the 5 haunted trails, and of course, to make sure that the scare trails are up to par to their haunting film counterparts. At the moment, the plans for the haunted trails have been finalized and construction of the sets and props will commence shortly. Golden Village will also partner with Sentosa Spooktacular this Halloween season. The Cinema exhibitor will screen re-runs of the five Thai horror films to give thrill-seekers the complete Sentosa Spooktacular experience. Details will be revealed soon. I was surprised that Sentosa took this step earlier than Universal Studios Singapore. I would think that RWS would pick up on this idea sooner and have horror movies running out of control at the Studios. Halloween Horror Nights in the American Universal Studios parks (and to a smaller extent, Japan) use well-known western horror franchises like SAW, Walking Dead, Silent Hill and Resident Evil. Then again, USS has been successful with original concepts for the past two years, plus their unique position of selling both scares and thrills (rides) could not be replicated by any competitor. However, it is not just about borrowing characters and stories. Memorable moments and hallmark scares from the films could be translated into visceral experiences in the haunted trails. And that is what Sentosa and GTH are planning to do. The partnership does not seem to stop at licensing, as details of the joint production were emphasized throughout the press conference. With fierce competition just across the island, Spooktacular shows no sign of backing down. This year’s Spooktacular sounds very promising with strong IP and partnership to tap on. 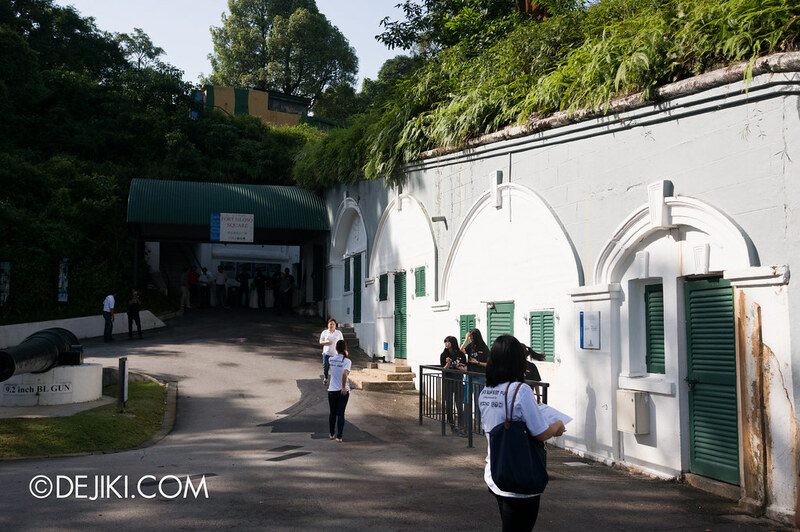 And of course, the genuinely scary venue – Fort Siloso – is filled with (haunted??!) tunnels and chambers nested in a hilly jungle. I hope to be there to provide coverage of the fear-filled thrills this year! For use at the Fast Pass queue (shorter waiting time) at each Haunted Trail. This is only an add-on and an admission ticket (see above) is required. For Admission to Fort Siloso grounds only. Admission to Haunted Trails is not included. Sentosa is holding a video contest where the winner may be casted as a scare-actor at Sentosa Spooktacular 2013 and be shortlisted for an audition for a GTH movie! To take part, record yourself in a re-enactment of a scene from one of the 5 Thai horror films: Shutter, Pee Mak, Body, Dorm or Coming Soon. The contest will begin tomorrow (14 June 2013) via a Facebook App which goes live (also tomorrow) at the Sentosa Spooktacular Facebook page.